2) Best quality of elastic leather web belts . 3) Prompt Delivery for elastic leather web belts . 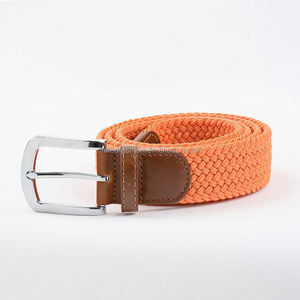 5) Professional elastic leather web belts . Yiwu Hece Clothing Co., Ltd.
With our rich experie n ces in our business field, we can give you high efficiency working speed for services and productions. With our own EXPORT & IMPORT license and experiences for logistics, we can handle customer purchasing cost down, and get fast services. 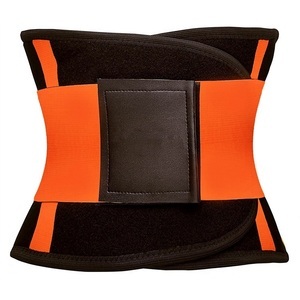 D-ring design allows you to choose a relaxed or snug fit by adjusting the buckle to close wherever you prefer. 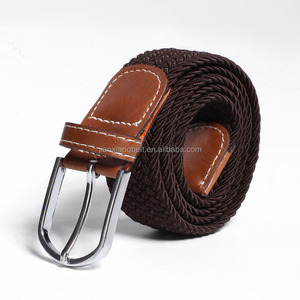 pu belt Fashion Mix Color Unisex New Style Braided Elastic Waist Belt specification Model No. 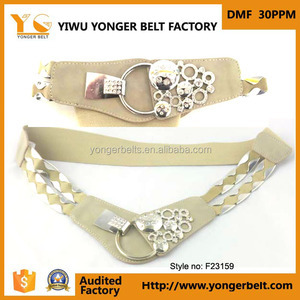 F19557 Item name Fashion elastic belt Material fabric Buckle alloy Color customized Length customized Width customized MOQ 600pcs DMF 30ppm Shippment DHL/Fedex/EMS/UPS,ect. Our services We are a professional manufacturer that always provide high-quality products. When you make the order, pls contact us to change the price for you. 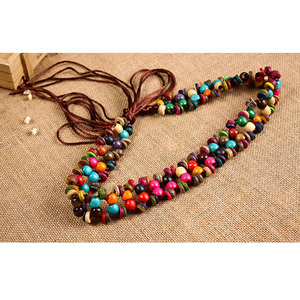 6, If you need, we can send you the sample for FREE, but shipping paid by you. Q4: Can the logo or company name to be printed on the products or package9 A4: Sure. Shenzhen Suptrims Garment Accessories Co., Ltd.
2. As your artwork or original sample to develop is OK. 1. Over 15 years professional experience for garment accessories and hair accessories. 6. Small order for sampling is welcome to start of our first cooperation. Yiwu Kailai Leather Co., Ltd.
we provide you high quality and good service based on our competitive price to win and share the business together . 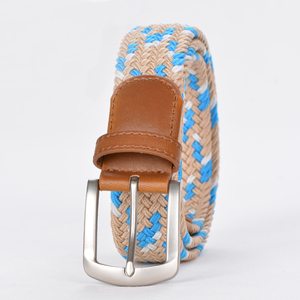 2) We provide OEM Services ,we can do OEM for your brand of belt (to print your local on the products). About sample: 1) we can develop the sample based on your original sample or your scan image design 2) all the materials are avaliable ,the sample usually 4-7days 3) Any information or any specific requirments for the sample ,welcome to contact us by Telephone ,email or online trade manager . 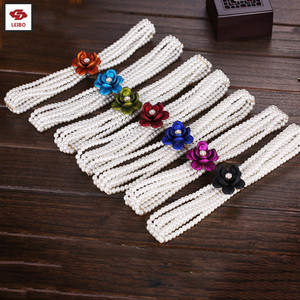 Alibaba.com offers 179 girls braided waist belts products. About 37% of these are fabric belts, 2% are genuine leather belts. A wide variety of girls braided waist belts options are available to you, such as breathable, anti-static. You can also choose from free samples. There are 99 girls braided waist belts suppliers, mainly located in Asia. 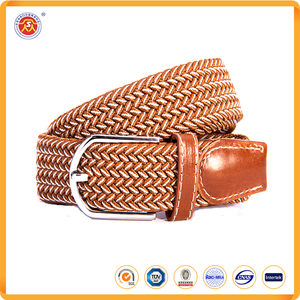 The top supplying country is China (Mainland), which supply 100% of girls braided waist belts respectively. 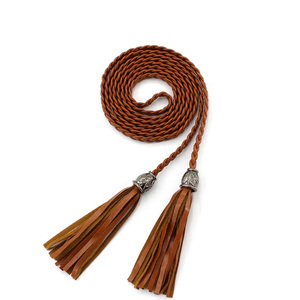 Girls braided waist belts products are most popular in Western Europe, Eastern Asia, and Africa. You can ensure product safety by selecting from certified suppliers, including 8 with BSCI, 1 with Other certification.